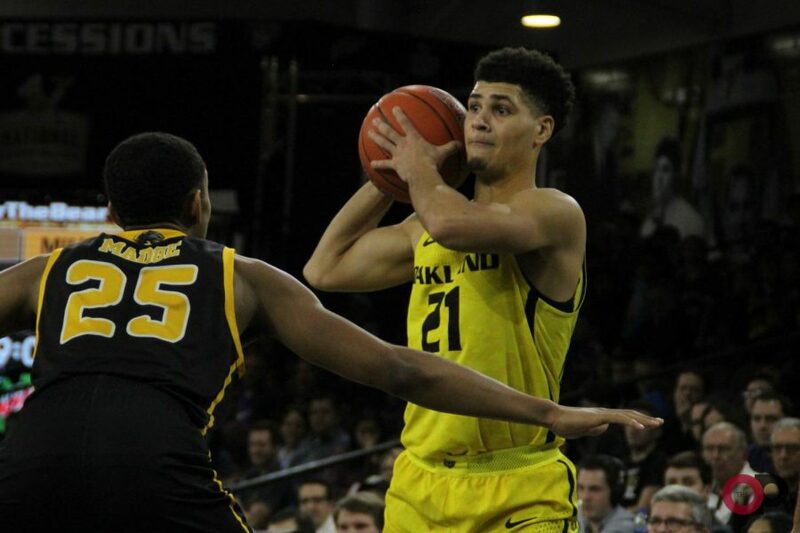 A collective sigh travelled through the O’rena when Braden Norris’ 3-point shot to tie fell short, as Oakland University was unable to come back and defeat the visiting University of Wisconsin-Milwaukee Panthers, losing 67-64 on Thursday, Jan. 10. 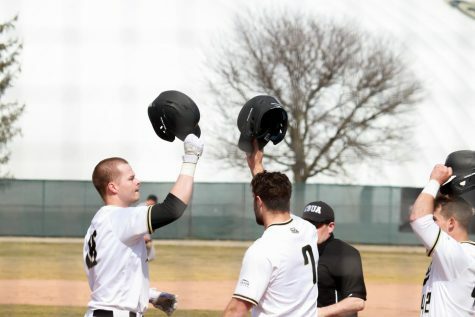 The narrow loss moved Oakland to 3-2 in Horizon League play, and 7-11 overall. This game started off rough for Oakland, as Milwaukee took a quick 11-2 lead. The Golden Grizzly offense looked stagnant and slow, while the Panthers’ offense looked sharp and was 5-7 from the floor. Eventually the offense was able to get started, but the damage was done, and Milwaukee held a double-digit lead for the majority of the first half. Oakland was able to reduce the lead to eight points with six minutes remaining in the half, and at one point battled back to a four-point deficit. The catalyst of the run to get back in the game was defense. James Beck was playing solid defense and grabbed seven rebounds in the first half. Jaevin Cumberland was the only Oakland player in double figures with 10 points, and Xavier Hill-Mais was unusually quiet, not registering a single point in the first half. Milwaukee was more efficient and created more open shots than the Golden Grizzlies, and the Milwaukee Panthers were able to lead the entire way. The lack of points for Hill-Mais was due to the strong double-teams Milwaukee was putting on him, forcing anyone else to try and beat them. Both teams came out of the locker rooms cold, only scoring 7 combined points in the first three minutes. 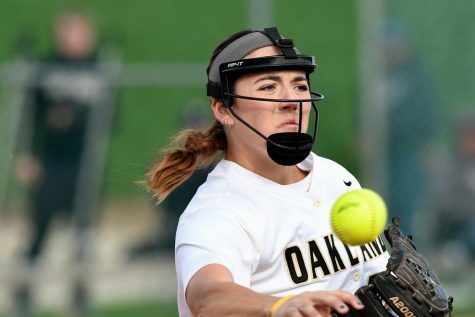 Despite the cold start, Oakland clawed their way back into the game. After scrapping back and forth, they were able to gain some ground on the Panthers. Karmari Newman drilling a three and Trey Maddox hitting two of two free throws brought the deficit to three points. This was the first time Oakland was within one possession of the lead since the first minute of the game. The double-teaming of Hill-Mais continued into the second half, as his first point came on a free throw with 11 minutes remaining in the second half. Following a Newman rebound, Cumberland hit a clutch 3-pointer to tie the game for the first time since it was 0-0. With 8:20 remaining, it was a 51-51 ballgame and the crowd erupted with new life. Cumberland continued to carry the load in the second half, as he finished with 19 points. Beck was impactful coming off the bench, receiving a lot of minutes and leading the team in rebounds with 13. 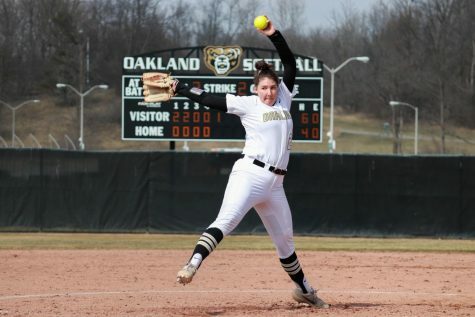 The Golden Grizzlies’ next game is at home against the University of Wisconsin-Green Bay on Saturday, Jan. 12 at 3 p.m..